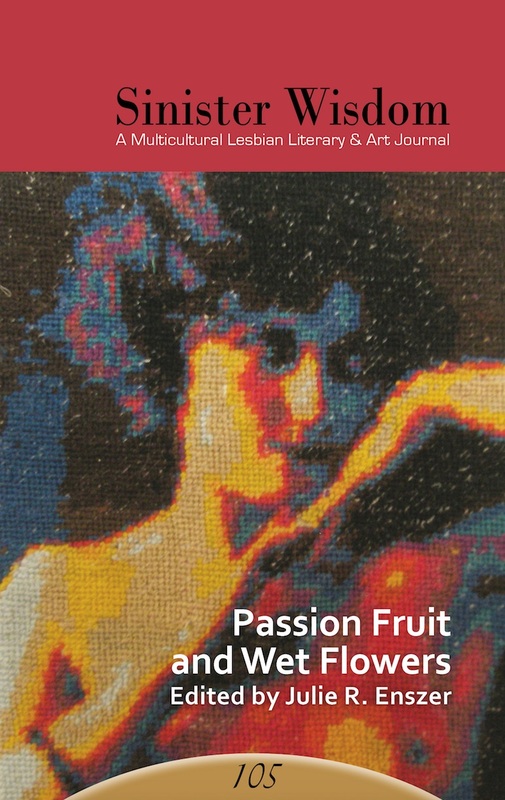 Sinister Wisdom 105: Passion Fruit and Wet Flowers includes the best creative writing by lesbians accepted during the past two years through our open submission process. The creative work in Sinister Wisdom 105: Passion Fruit and Wet Flowers is an eclectic mix of poetry, fiction, a play, and creative non-fiction. Sinister Wisdom 105 continues to celebrate revolutionary lesbian-feminist consciousness. Changing the Landscape of What It Means to Be a Lesbian: Talking with Sinister Wisdom intern and Associate Editor of Sinister Wisdom 105 at The Huffington Post. Sinister Wisdom 105: Passion Fruit and Wet Flowers is sold out.